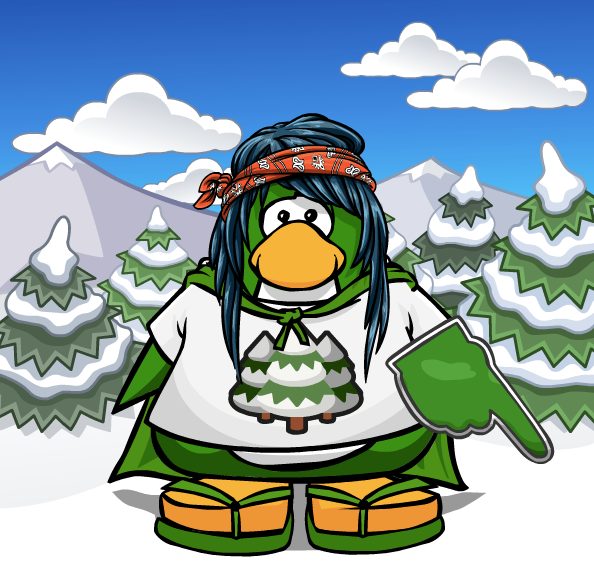 Club Penguin Cheats by Mimo777 Club Penguin Cheats by Mimo777: Penguin of the Day - Leafypingu! 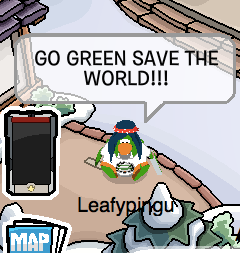 Earth Day is almost here and penguins everywhere have started raising awareness on Club Penguin! So, congratulations to Leafypingu! 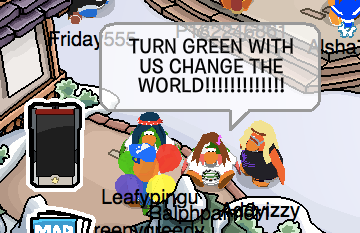 The team spotted her doing random acts of kindness on Club Penguin. 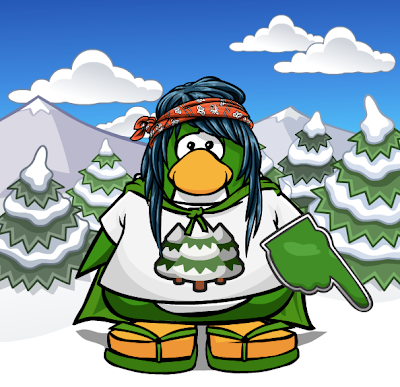 To celebrate, they've added 5000 coins to her penguin account! You never know what the CP team might see you doing online. If you've seen someone doing something awesome, feel free to let the team know any time. If something catches their eyes, they might even consider featuring that person on the blog. That's not kindness! It's activism. lol they arent making a difference really. its just virtual.